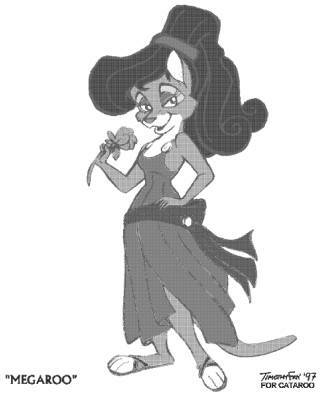 A friend asked me to "draw Hercules' girlfriend as a 'roo," and so I did! It was great seeing everyone at ConFurence 9 and, with luck, I'll see you all at CF 10 in just about a year. Good luck, and keep drawing!